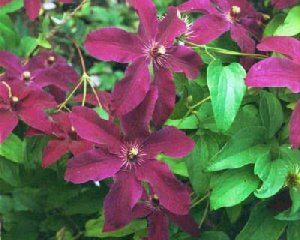 Huvi Clematis: large flowers and very winter hardy. and lots of disease resistance and you've got a keeper! Huvi, like all the Kivistik clematis from Estonia, is listed as a Full Prune variety. there really won't be any pruning to do!